Jared Kushner sold his equity stake in 666 Fifth Avenue, once the most expensive office building in America. According to a spokesperson for Kushner Companies, the stake was sold to a family trust, but the company declined to comment on who exactly would control it. “Mr. Kushner’s ownership interests were sold using a third-party appraisal for fair market value to a family trust, of which he is not a beneficiary,” the spokesperson said. Earlier this month, Kushner’s attorney Jamie Gorelick announced that upon taking the position of senior adviser in Donald Trump’s White House, Kushner would divest from more than 35 assets, selling many of them to either his brother Josh or a trust controlled by his mother, Seryl Kushner. 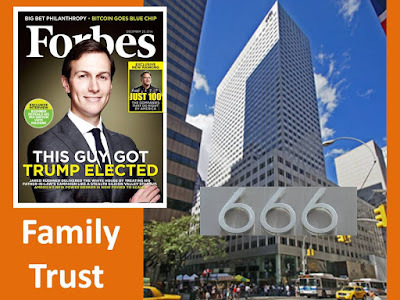 With 666 Fifth Avenue transferred to the trust of a close relative what will happen to Kushner's stake in Thrive Capital? 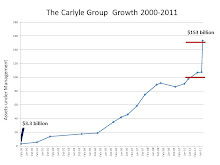 The Obama administration couldn't follow White House Health Reformer Nancy Ann Deparle's residual private equity stakes from CCMP Capital Partners health care investments. The Trump White House appears to have even less attention to detail. Kushner's attorney Jamie Gorelick beat a multi-year accounting fraud rap as Chief Operating Officer of Fannie Mae. Her bonuses totaled $2.8 million during the period of accounting fraud. She negotiated with the Obama White House on behalf of BP for their 2010 Gulf of Mexico Oil Spew. The Greed Queen of Disaster is on the Kushner case.